The I-KNOW conference just took place in Graz, Austria. Lots of talking about visualization, starting with the first keynote Marti Hearst (UC Berkley). In her plenary talk she emphasized the trend toward more and more audiovisual communication at the expenses of text. We are glad to know that 🙂 She was presenting directly from her ipad, and somewhat surprising her slides didn’t have much of audio-visual material; but the second keynote, Rafael Sidi of Elsevier, had plenty of beautiful images (as in the picture on the right). 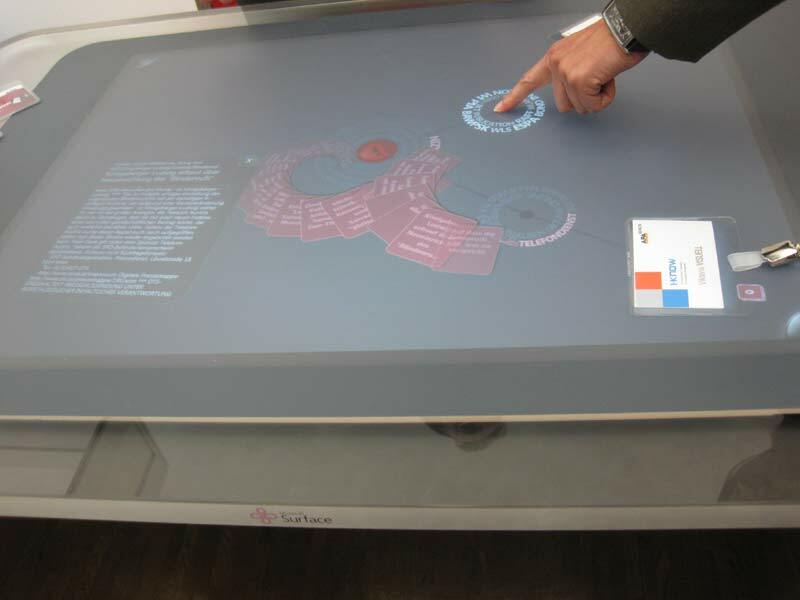 At the conference exhibit, Microsoft was showcasing Surface, the multi-touch and multi-user screen. It’s a table with several cameras inside that recognizes natural hand gestures as well as objects. Steve jobs would say “it works like magic”, and indeed it seems so, although it’s quite more expensive and heavy than an ipod/ipad. It seems useful for collaborative knowledge work in organizations. Although I guess tha orientation remains an issue, it’s fun! This entry was posted on Monday, September 6th, 2010 at 7:53 pm and is filed under Uncategorized. You can follow any responses to this entry through the RSS 2.0 feed. You can leave a response, or trackback from your own site.